I see you there. And by there I mean at your desk. You’re still at work too. Although they you’re far enough away from the floor that they don’t realize it. Last night’s board meeting was a doozie and you fight back that yawn. You need to look positive and energized so you can lead by example. The pressure is always on for you to model the expectation. To be the employee you need your team members to be. Not one time can you let off a little pressure in the break room or roll your eyes at that one policy that you secretly agree is over the top. You are asked to do more with less and less. Less supplies and more margin. Less staff and more patient satisfaction. Better outcomes but with less time to get them. Benchmarks are your conscience and the goals need to be met for the people to get paid so the patients can have nurses. So the nurses have patients. So the joint commission can give you the seal . So your health system can make that deal to keep your nursing force working for years ahead. You’ll budget for the nursing day presents but you won’t have to worry about where you’ll put yours. You’ll try your hardest , knowing it likely won’t be enough for the sweat, tears, back aches, and pressure your nursing staff has bore. It’s been a long time since you’ve counted the hours until your shift is over. And yet you’re still counting every line item on that budget that will make this world go round for four more quarters. It’s been a long time since you emptied a bedpan but you’ve emptied your mind and all your resources to figure out how to get that fall rate down. To keep patients safe in their beds and nurses safe in their care. You love the challenge and hate the strain. And just when you ‘re done, you’re beginning again. Another initiative. Strategy. Protocol. Mandate. CMS reimbursement change. Quality Standard. You are the nurse leader, executive, manager. . . Under-appreciated and overcommitted. But you consistently achieve incredible goals, solve problems, improve care, referee discord, and throw more Hail Mary passes in staffing and scheduling than a quarterback who has run out of time. And you’re still a nurse. Still a patient advocate. Still a defender of all nurses everywhere. And it’s nurses week. And that means you too. Happy Nurses Week boss. Someone has to lead this crazy, awesomely diverse group of nurses. Someone has to make the tough calls. Weather the sleepless nights and propose the next best move. And God picked you. 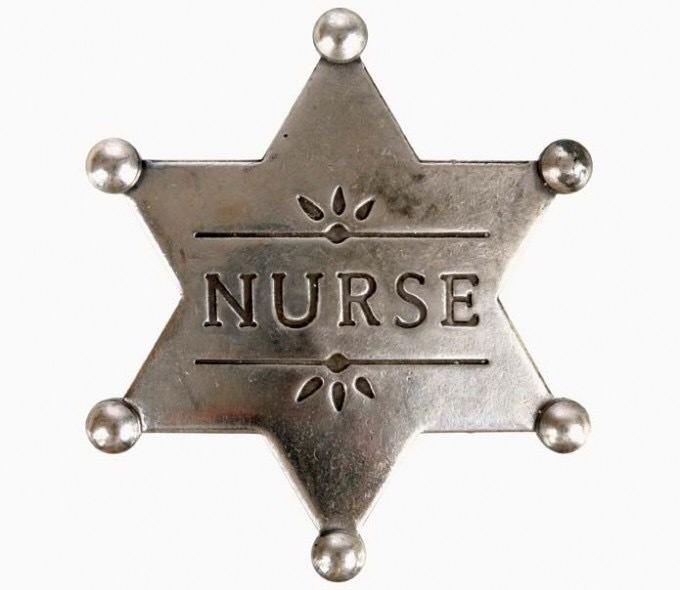 He thinks a lot of you and so do I.
Postscript: This post is a personal reflection of my admiration for the outstanding nurse executives I’ve worked with throughout my career. It is a personally reflective fictional piece that does not reflect the views or happenings of the health system I currently work for in anyway.